As a photographer, there are certain things I love shooting, and one of them are bridges. 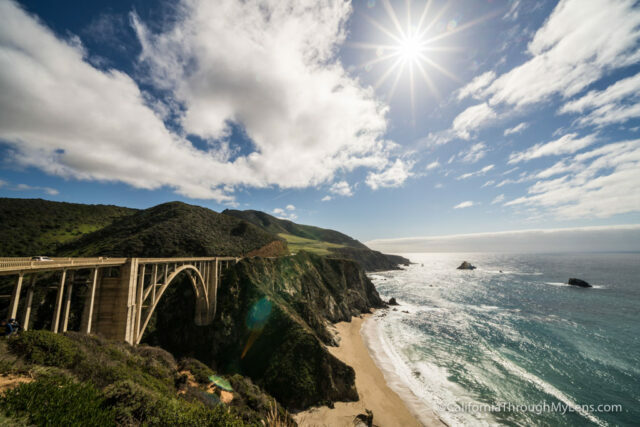 The style and the construction of these massively elevated roads hold a special place in my artistic heart, and near the top of my favorite bridges is the iconic Bixby Creek Bridge in the northern part of Big Sur. 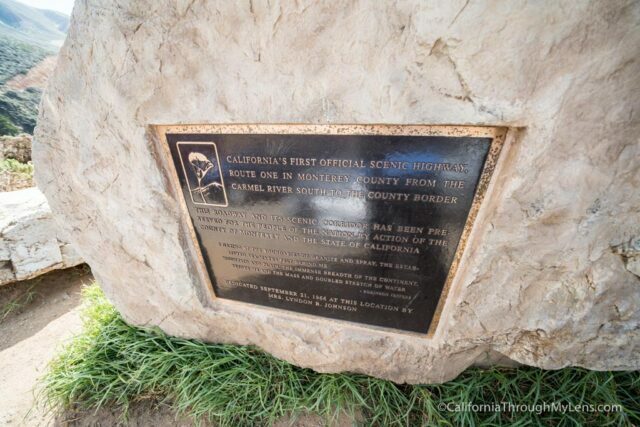 Here is all the information on visiting this bridge. Before I bombard you with pictures of this bridge here is the history. 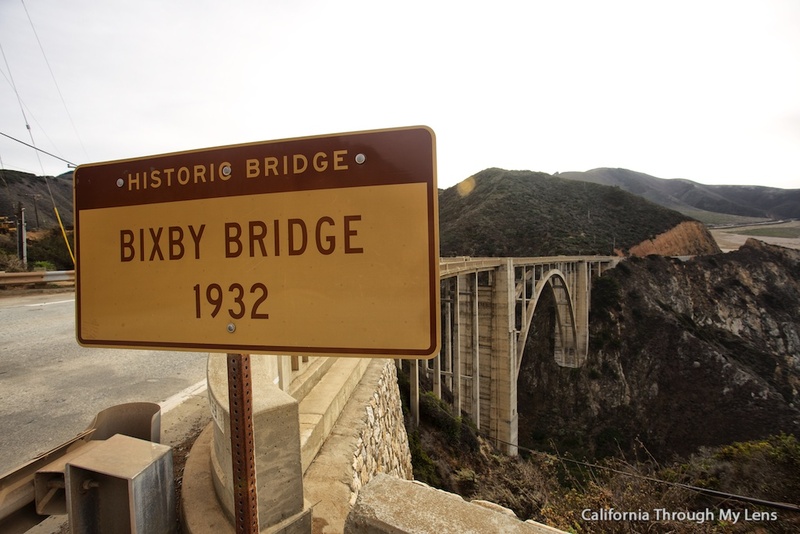 Bixby Creek takes its name from Charles Henry Bixby, from Livingston County, New York, who arrived on the Monterey Peninsula in 1868. 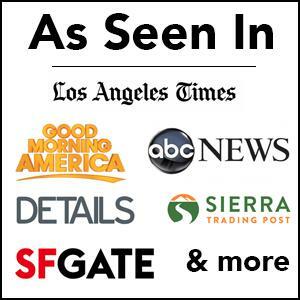 He purchased large tracts of land in the Big Sur area and harvested the lumber. 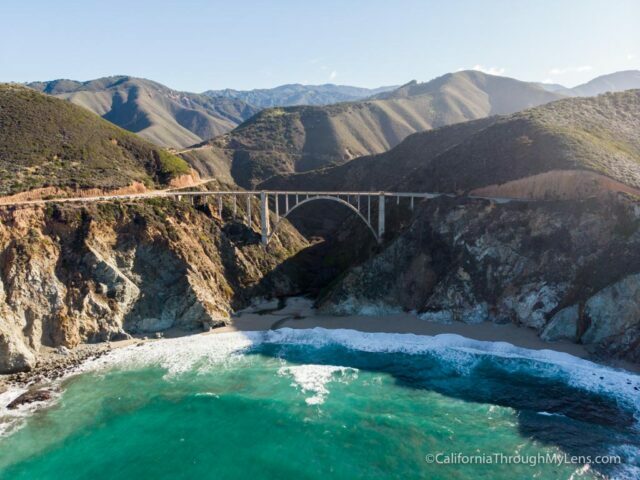 Bixby Bridge is a reinforced concrete open-spandrel arch bridge in Big Sur, California. 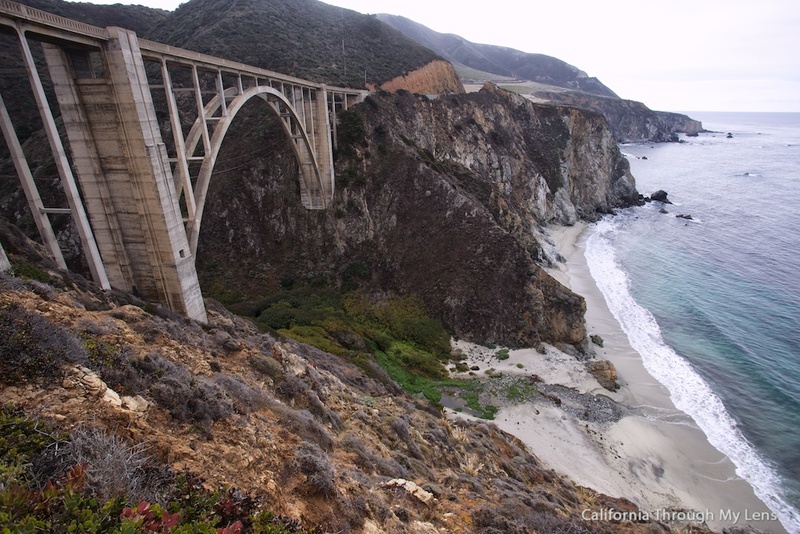 Before the opening of the bridge in 1932, residents of the Big Sur area were virtually cut off during winter due to the often impassable Old Coast Road that led 11 miles inland and could take three days to traverse. 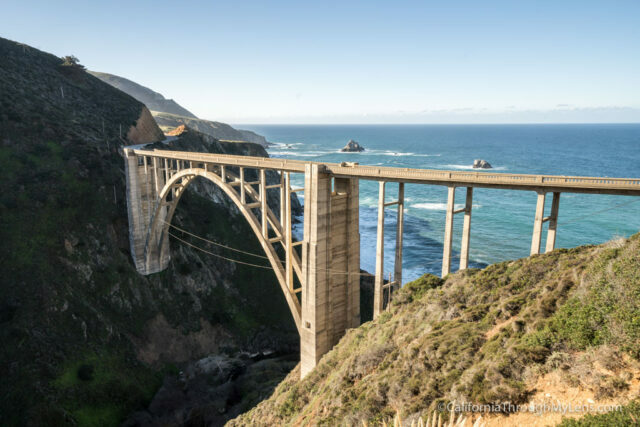 At its completion, the bridge was built under budget for $199,861 and was the longest concrete arch span at 320 feet on the California State Highway System. 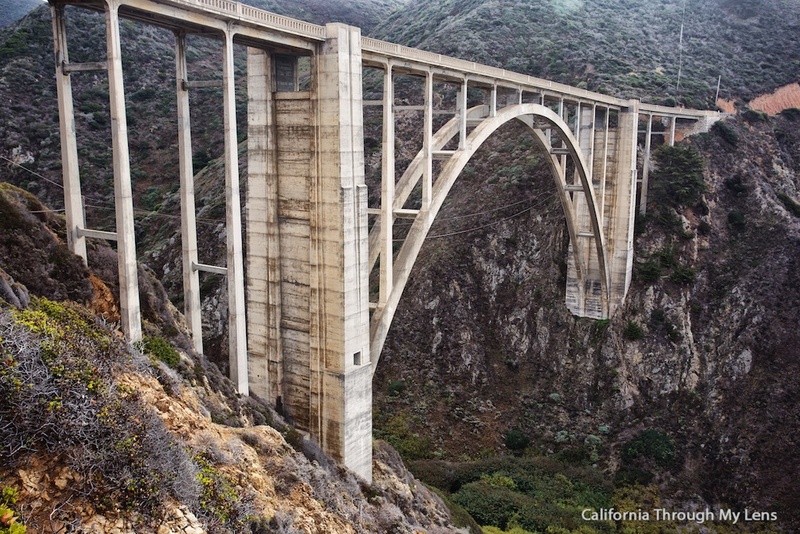 It is one of the tallest single-span concrete bridges in the world. There is not a lot else to say about the bridge other than to show you some of my favorite photos from my stop there. If you are looking to photograph the bridge, continue to the north side where there is a decent size turn out on the left that is easy to stop at. From here there are paths on both sides of the bridge that you can walk to get better views of the iconic structure. Here are some of my favorite photos. Taking night photos at the bridge can also be a lot of fun. The lights of the cars moving over the road make for a great long exposure shot. 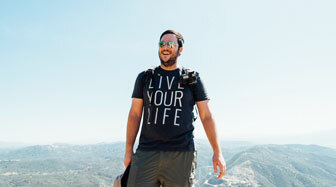 As you can see, I was a fan of my time here, and if you are driving up Highway One it is a must stop. 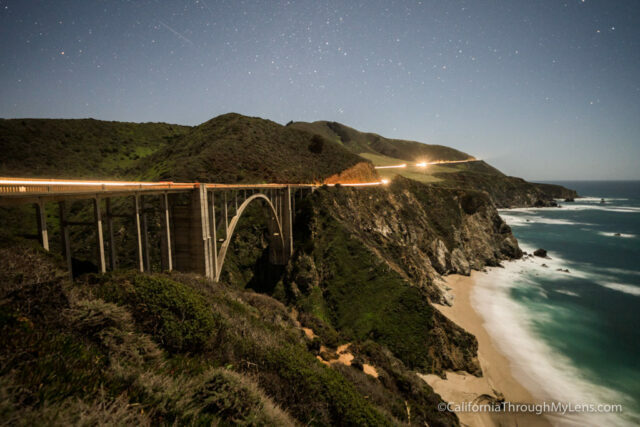 Check out this post for more bridges I love in CA, or let me know your favorites in the comments.